NECA Show-goers get to see the latest and greatest in products and services from nearly 300 exhibitors, as well as several special technical workshops from top industry insiders. NECA has partnered with our exhibitors to bring you 19 technical workshops covering topics like power quality, data center projects, improving productivity, alternative energy opportunities, new management t ools, security and life safety. Technical workshops are free with admission to the NECA Show (for a complementary industry pass, click here), and they offer some of the most timely and valuable information available at the event. Electrical product developers, manufacturers and distributors often boast some of the best research and development teams in the industry. By studying trends and innovations, they create new technology and processes that help electrical contractors work smarter. 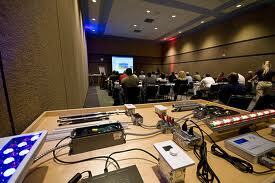 For a full schedule, including session descriptions, go to Technical Workshops under At the NECA Show. 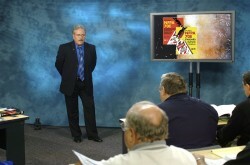 Most sessions will be offered more than once during the trade show. The July issue of ELECTRICAL CONTRACTOR is all about green construction, and there’s no better place to check out the trends covered in the magazine than the 2013 NECA Energy Forum. The fourth annual Energy Forum will focus on how electrical contractors are bringing renewable power and energy conservation to both new and retrofit projects. Learn from many of the people directly shaping this new energy world, from policy makers to owners and project developers, plus best practices from electrical contractors growing their energy solutions operations. Most visitors to Washington, D.C. know that the nation’s capital city boasts an extensive public transportation system on Metro and Metrobus. But a few smart tips and apps can help make getting around the city even easier. UBER is a growing on-demand car service. Download the app to request a private car and professional driver to deliver you to your destination with minimal wait. No need to identify your location — UBER uses your phone’s GPS to pick you up with efficiency and professional courtesy. Parking by the convention center can be quite expensive, but NECA has partnered with online parking reservation service Parking Panda to offer more affordable parking options. When it comes to electrical construction, safety is everyone’s job. However, it takes a real leader to make safety a company priority. If you manage a workplace or jobsite safety program, enforce or develop safety standards, supervise workers, oversee a facility, or simply strive for a safe work environment, you need to attend the second annual Safety Forum at NECA 2013 Washington DC. Mike Johnston, NECA Executive Director, Standards and Safety, discussion arc flash protection. Safety leadership requires people who are ready to motivate people around a common purpose. Safety leaders see benefits not just for their workers, but as a tool to grow their companies. Today, clients are demanding evidence of effective safety performance and the integration of safety and health management systems to job site safety. Safety and health has evolved from a regulatory drive activity to and business development tool. 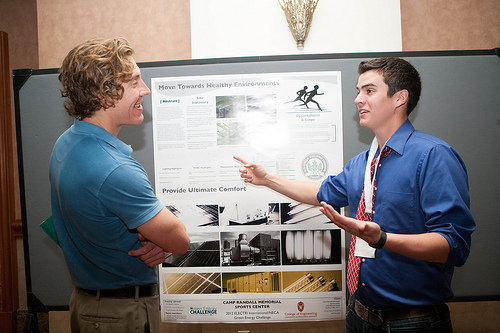 The 2013 annual Green Energy Challenge student competition, sponsored by ELECTRI International – the Foundation for Electrical Construction – is down to three finalist Student Chapter teams: The Pennsylvania State University, Iowa State University, and the University of Washington. The finalists were selected by an eight-member competition jury that included electrical contractors and industry allies. Fifteen student teams submitted proposals to conduct an energy audit of a parking structure on campus or in the neighboring community for the initial round of competition. In addition to the technical recommendations offered in each retrofit proposal, teams were judged on construction planning and project management. Finalist teams are responsible for further developing their proposal into presentations for the full jury at the 2013 annual convention of the National Electrical Contractors Association, Oct. 12-15, in Washington, D.C. NECA’s annual Energy Forum will also be held that day; the Energy Forum focusing on the work of electrical contractors in the energy solutions market of renewable power, energy storage and efficiency technology. ELECTRI International hosts the students’ travel to and participation at the event. 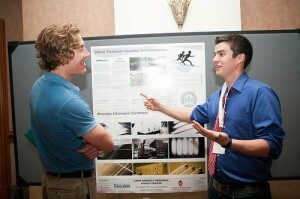 A poster session of submissions from the participating student chapter teams is also part of the event. About ELECTRI: ELECTRI International – The Foundation for Electrical Construction, Inc. is the primary research arm of the electrical construction industry. Foundation research helps to improve the productivity, professionalism, and competitiveness of electrical contractors. ELECTRI International also represents the U.S. electrical construction industry internationally. For more information, visit www.electri.org. For over 60 years, NECA contractors have provided quality healthcare coverage to 26 million electrical workers, retirees and their families. The Affordable Care Act (ACA) would dramatically change how these plans are offered and administered. Not only would the ACA affect the healthcare plans provided by NECA contractors, but the law itself continues to haphazardly morph in large and small ways, like the Administration’s recent decision to delay the mandate for employer-provided health insurance until 2015. 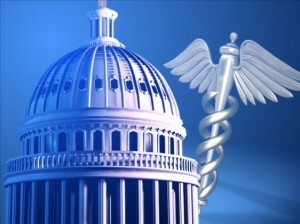 The Labor Relations Special Session at NECA 2013 Washington DC will focus on how the Affordable Care Act will affect the multiemployer healthcare plans using the most up-to-date information available. “Impact of the Affordable C are Act (ACA) on NECA Contractors” will be presented on Monday, Oct. 14 at 10 a.m. by a panel of experts. They will cover the most crucial issues surrounding the ACA for multiemployer plans for those employees covered by collective bargaining agreements, as well as employees outside the bargaining unit. 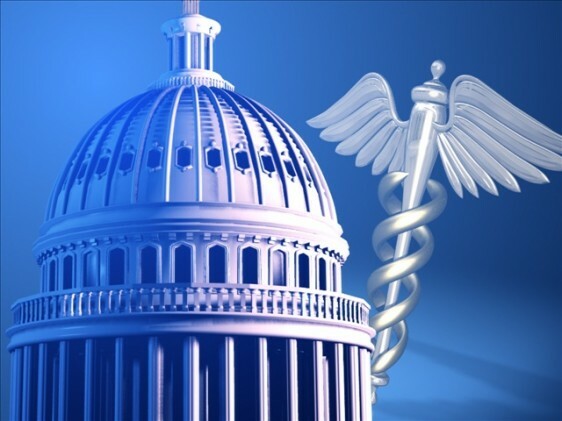 Multiemployer healthcare plans have not been part of the contentious debate over the ACA; rather, their concerns have been drowned out by more vocal opponents. The Labor Relations Special Session at NECA 2013 Washington DC will be your opportunity to learn how the law could affect your plans and your employees. Make plans to be there in person by registering for NECA 2013 Washington DC. FREE WEBINAR: Get a head start learning about how the ACA could affect your business by joining NECA for a free webinar on July 16 at 2 p.m., ” What Electrical Contractors Need to Know About the ACA.” This is the first of a series of webinars on health care reform and will feature Tiffany Downs, head of the Employee Benefits Practice Group for the Ford Harrison labor and employment attorneys. Register now! Free NECA Show Admission: Gotta Get the Code! Did you know that admission to NECA’s Trade Show and 19 technical workshops at the NECA Show is FREE to electrical professionals? It’s true! If you work in the electrical industry, you can still see all the product innovations, time-saving tools and services, and meet leading manufacturers at the 2013 NECA Show at no charge. All you need to do is register online with the special code ECB13 and you’re in! The NECA Show is the industry’s premier event for the products, tools, software and equipment that make the industry run. You can be a part of it, too! Register now! Registration Going Strong – Still Time to Catch the Early Rates! Beth Ellis reported that registrations for NECA 2013 Washington DC are coming in daily, putting this year’s convention and trade show on track for the same record-setting attendance that we enjoyed last year in Las Vegas. Beth has been making the rounds at all the NECA spring and summer meetings, getting the word out about this year’s great program in D.C. We caught up with her between travels to see what she thinks will make NECA 2013 Washington DC special. Q: So what’s going to make NECA 2013 Washington great? Beth Ellis: Well, this year will mark the first time NECA has been in Washington, DC since 2001 when we celebrated NECA’s 100th anniversary. Of course, 9/11 was weighing heavy on all of us at that convention, too. I think this year will be a great time to examine how much the industry has changed in just 12 years. DC has changed, too. We’re going to be at the brand-new convention center, we have several new hotels we’ll be using for housing, and there’s a lot to look forward to. Beth Ellis: We could only host a “Night at the Museum” opening reception at the Smithsonian Museum of Natural History in DC! Outside of that movie, how many people ever get to see what the museum looks like after all the visitors are gone? And no one expects to outshine the Hope Diamond, but we’re going to glam things up, too. We’ll have a great dance band and several other entertainers, plus bars and the best hors d’oeuvers in the city – not to mention a few other surprises throughout the museum! Our education programs are also incredibly strong this year. We kick everything off with pre-convention workshops (that are a great value for intensive training), and we’re hosting the Safety Forum and Energy Forum again. We’re offering 19 technical workshops throughout the NECA Show and an array of management seminars with full registration. Q: So you’re expecting crowds similar to last year? Beth Ellis: If registrations keep coming at the same rate, we’ll actually have more people this year than we did last year. The Washington Convention Center is a beautiful, spacious facility and we have plenty of rooms reserved for attendees. And if you don’t have time to attend the full convention, our weekend packages are a great choice. You get the maximum education and networking opportunities for a minimal time commitment. But everyone should get their plans and registrations made sooner rather than later – not just for the Early Registration savings, but to make sure they get their first-choice for hotel and travel. There’s so much to do in the city, and October is the perfect time of year to be here. There you have it: NECA 2013 Washington DC is shaping up to be another blockbuster convention and trade show, with lots of special touches that can only be found in the nation’s capital city. Make your plans to be there today!